2018 was a very good year in Texas. Our economy continued to lead the nation, creating more jobs than ever and providing opportunities for more and more Texans to go after their dreams. Texas companies are expanding, and new businesses continue to come to our state, fleeing high taxes and job-killing regulation of states in Democrat control. After years of battles, Voter ID legislation was upheld in the courts, strengthening the integrity of our elections. 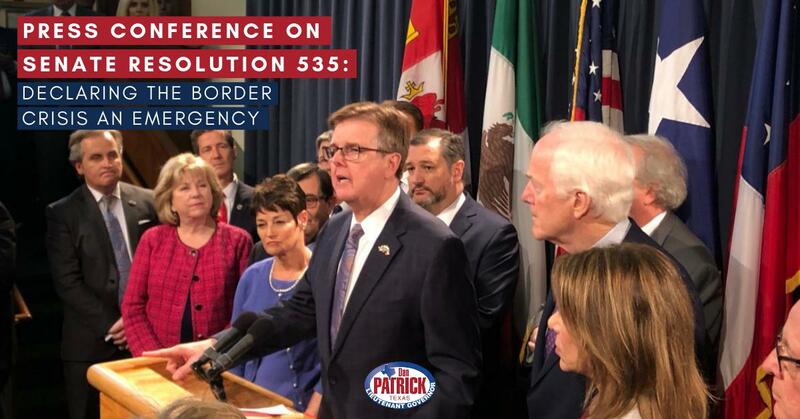 The courts also upheld the ban we passed against Sanctuary Cities last legislative session, which will help reduce illegal immigration into Texas. Finally, our resilient state is rebounding from Hurricane Harvey, and once devastated communities are making a comeback. 2018 also brought us the historic mid-term election. In an unprecedented, non-presidential year turnout, 8.3 million Texas voters re-elected every Republican statewide official and maintained a Republican majority in the Texas Senate and the Texas House. Granted, straight-ticket Democrat voting resulted in the defeat of too many conservative lawmakers and judges, but, despite what you read in the mainstream media, 2018 was not some kind of Democrat victory. In fact, the conservative majority in Texas not only stood up to Beto O’Rourke’s $80 million machine — they roared back. I received 1.5 million more votes in 2018 than I did when I was first elected Lt. Governor in 2014! I am thankful for that support. 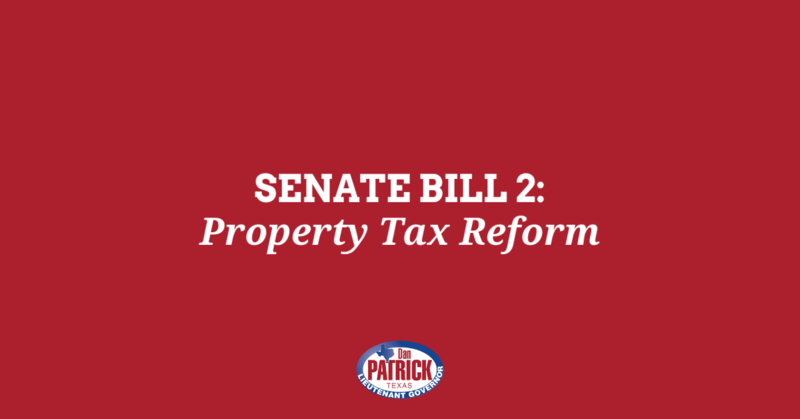 After the Senate passed property tax reform twice last session, only to see it killed by the outgoing speaker, I am even more determined to pass legislation to reform and reduce property taxes in 2019. 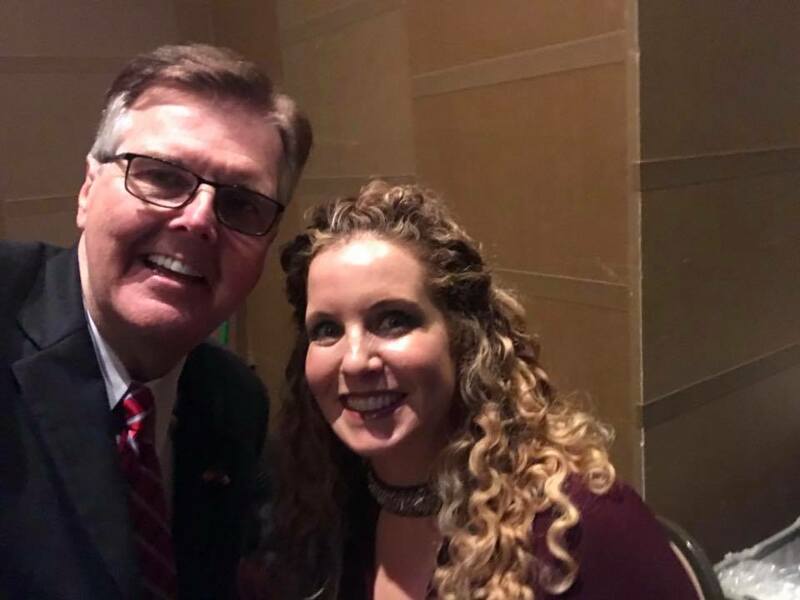 With new leadership in the Texas House, I am confident we can get that done. Fixing school finance and giving our teachers the $10,000 raise that I advocated for in the 2017 special session are also top priorities for me when the session begins next week. We must invest in our teachers — next to a parent, they are the most important part of a student’s education. The conservative majority in Texas stood by conservative leaders in the 2018 election because our agenda is your agenda. Voters want Texas to remain a place where jobs are created and people and businesses can thrive. They want a secure border, a lean and efficient government and leaders who are committed to protecting Texas values including life, second amendment rights, religious liberty and freedom. My job in the upcoming legislative session is to make sure we don’t let you down. I am very proud to be your Lieutenant Governor and I appreciate your continued support. May God bless you, your family, and the greatest state of all—Texas, in the coming year.